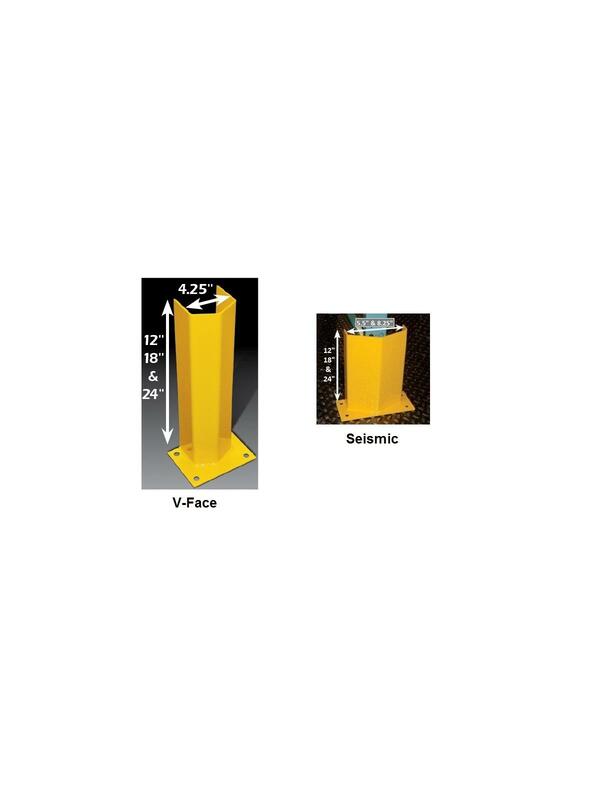 Available in standard clearance 4.25" or seismic clearance 5.5" or 8.25". 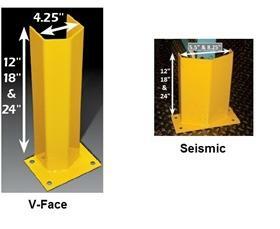 Stocked models are 3/16" thick and 12", 18", or 24" tall. The 12" and 24" tall are also stocked in 1/4" thick steel. Powder coated safety yellow. Mounting hardware available, but NOT included. FOB Shipping Point.